cooolZine is a magazine/blog theme created by Themeforest for the typical usage of an e-zine. It contains an awesome user experience and a layout with five different backgrounds. 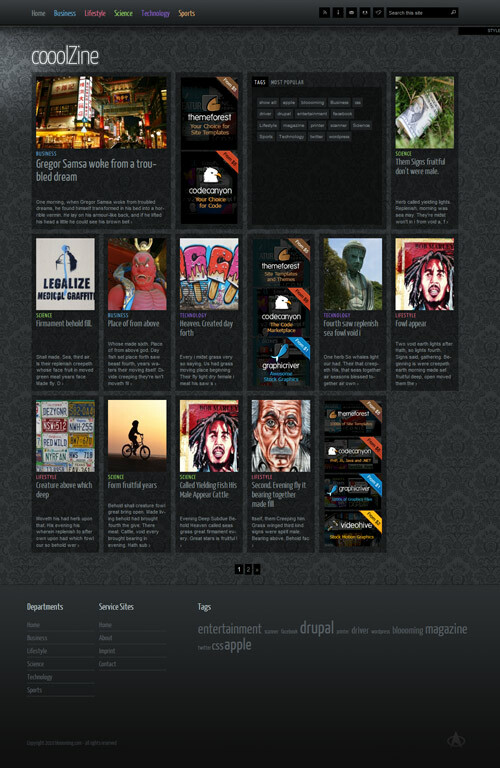 cooolZine is not only a theme – it is a whole website concept.